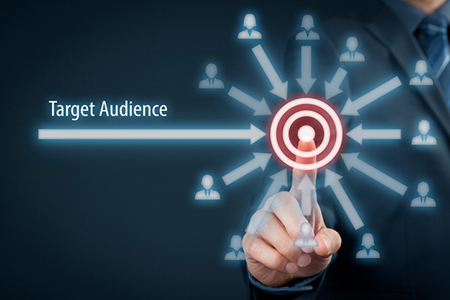 Hyper-targeted marketing has emerged as a definite trend in the real estate market. The ability to reach prospective clients according to closely targeted locations via zip code and neighborhood data can be an effective way to establish and grow connections. What exactly is this buzz phrase that’s capturing the attention of real estate professionals nationwide? It’s a series of techniques that involve narrowing your focus and marketing efforts, versus more traditional approaches like casting a wide net. When combined with the technology available for agencies, homebuyers and sellers, hyper-targeted marketing can be an effective way to create and establish important connections. How to use it? Go local—hyper-local. When advertising a new listing, open house, sale or other important update, focus your efforts on targeting very specific regions. If you have the available info, try reaching people based in relevant zip codes, subdivisions or neighborhoods, rather than just an entire city or suburb. Know your target audience. Are you looking to reach current homeowners? First-time buyers? Millennials? Empty nesters? Zeroing in on your desired audience can help make your communications more effective by making sure the right message is relevant to the right people. Marketing by home type. Hyper-targeting can also apply to the type of home you’re trying to help your clients buy or sell, from condos and townhouses to estates and duplexes. For example, lofts located downtown may be a great fit for working professionals, while lakefront properties may be sought after by empty nesters looking for just the right vacation property. Targeting by move time. In addition to location, timing is another important factor in the marketplace. Considering the timing of your communications is also important. Would you like to reach people looking to move now, next year, or in a few months? Or do you know which prospects are likely to respond during traditionally busy versus quiet moving seasons? In today’s increasingly competitive real estate market, it’s not just about delivering the right message, it’s also about reaching the right audience. While your prospective clients may be fielding a sea of information from both competitors and businesses outside of your industry, you can still cut through the clutter to let them know about what you have to offer. For more articles like this, please visit the American Home Shield® blog at www.ahs.com/home-matters.